An elaborate and dark story of child abuse and calculated revenge, Sleepers is complex, intense and satisfying. Regardless of whether the drama is based on true events, the movie offers a gripping and memorable experience. On the tough streets of Hell's Kitchen in the 1960s, Lorenzo, Tommy, Michael and Johnny are four young mischievous teenaged boys exploring the world. 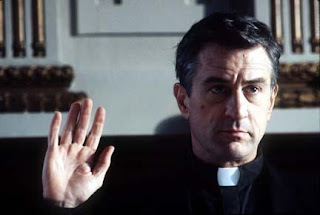 The influential adults in their lives include Father Bobby Carillo (Robert De Niro) and the local undercover crime boss King Benny (Vittorio Gassman). A prank with a hot dog stand goes terribly wrong, severely injuring a bystander: the four boys are convicted and sentenced to serve time at the Wilkinson Home for Boys, an incarceration and rehabilitation centre. The four friends are quickly singled out by the Wilkinson guards for special abuse. 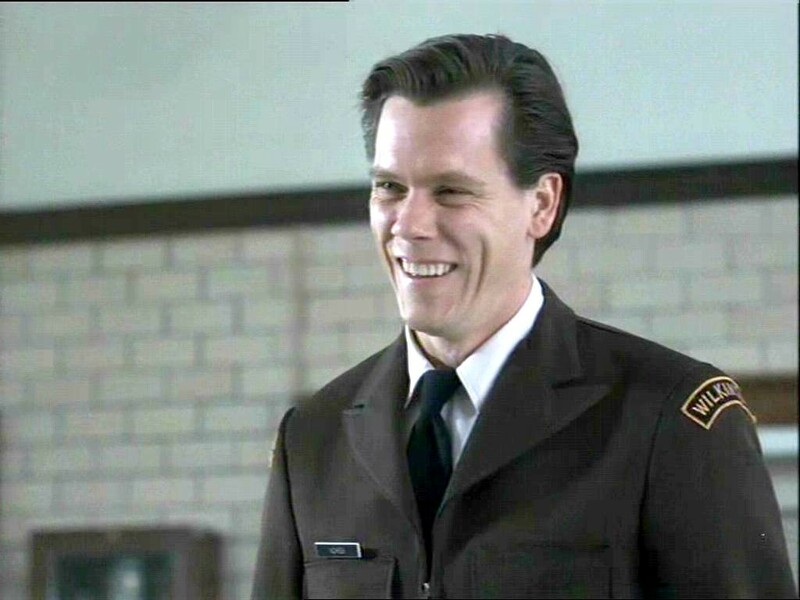 Sean Nokes (Kevin Bacon), the most ruthless of the guards, embarks on a campaign of emotional, physical and sexual abuse, with several other guards joining in. Father Carillo tries to stay in touch with Michael through regular visits, but the boys withdraw into a cone of silence and refuse to disclose the repulsive abuse that they are suffering. Fourteen years after being released, Tommy (Billy Crudup) and Johnny (Ron Eldard) are gun-toting criminals. They stumble across Nokes, extract their revenge, and land in court, facing prolonged jail time if convicted. 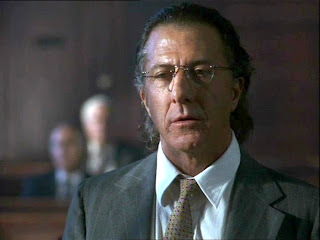 But in a twist of fate, Michael (Brad Pitt), now an Assistant District Attorney, is appointed to prosecute the case, while King Benny arranges for incompetent lawyer Danny Snyder (Dustin Hoffman) to represent Tommy and Johnny. Michael's involvement, with Lorenzo (Jason Patric) acting as a go-between, creates the opportunity for the Wilkinson facility abusers to be surreptitiously exposed in court as Michael tries to manipulate all proceedings to his advantage, but he will need the help of Father Carillo one last time. Lorenzo Carcaterra wrote the book, and claims that the story is true. This has been disputed by various official sources who claim no records exist for the events described in the book. The controversy doesn't detract from the movie. Director Barry Levinson wrote the screenplay for Sleepers and delivers a moving, well-paced and refined film, neatly split into three thirds: the innocent context, the horrifying abuse, and the cold revenge. Each part has its own attraction, Levinson nurturing the drama from Hell's Kitchen through the torture chambers of Wikinson and finally to the court rooms of justice. A superlative cast studded with stars elevates interest in the latter half of an already engrossing viewing exprience. 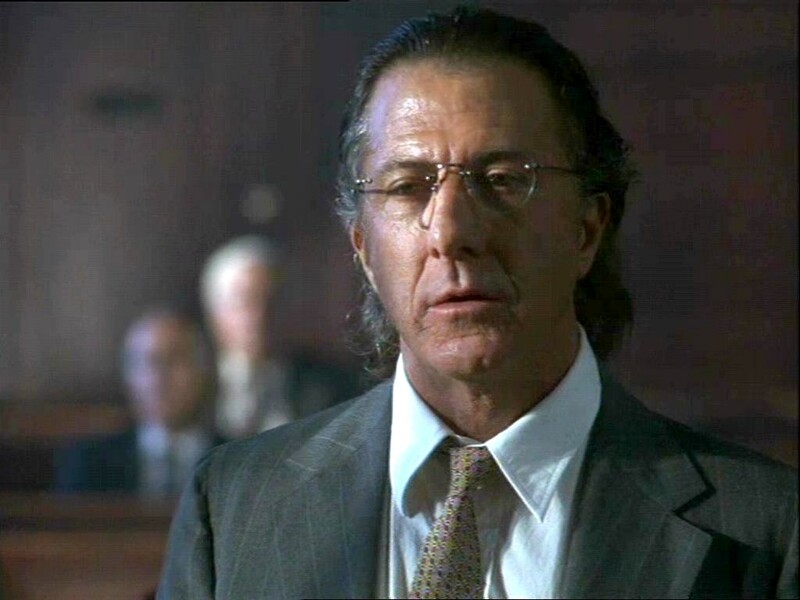 Robert De Niro's Father Carillo is the only adult who interacts with Lorenzo, Tommy, Michael and John from childhood to the trial verdict, and at every stage he is instrumental in trying to help. Initially, his guidance meets with only partial success: Carillo tries to steer the boys onto the right path but they anyway fall foul of the law; once the boys are at Wilkinson, he tries to get them to talk about the reality of their incarceration, but they are unwilling to speak up. At the third try, Father Carillo is asked to make a phenomenally painful decision in the witness chair, and the destiny of the boys once again rests in his hands. De Niro's performance is perfect, from a young priest all too personally familiar with the troubles that youth can get themselves into, to the old mentor handed the power to help his friends but at a significant personal cost. Kevin Bacon is simply chilling as Sean Nokes. Arrogant, smug and heartless, Bacon gives Nokes an invincible aura of self-confidence that psychologically devastates his young victims. Hoffman revels in the stuttering eccentricity of Snyder as a man at peace with having been well-beaten by life. Snyder is Nokes' polar opposite, a has-been lawyer well past his sell-by date, not able to do much beyond reading the questions written for him by others. Brad Pitt rounds out the excellent cast as the adult Michael, a lawyer taking on the risk of his professional life to persecute his friends, generating the perception of wanting to win while plotting his own revenge agenda. Jason Patric and Minnie Driver are less impressive, Patric struggling to find a place for the adult Lorenzo in the unfolding court drama, while Driver's Carol character seems to exist solely to provide some female relief to the otherwise all-male cast. Revenge is a dish best served cold; Sleepers gets both the revenge content and the delivery temperature right.